How did you get so good at ____ technique? The answer is simple—I learned every kind of technique until I found the one I wanted. But I wasn’t always this wise, of course. I spent years wasting my time trying to perfect the few techniques I knew. I would drill the same jab for hours thinking that would make it faster and more powerful, or at least more effective. It wasn’t until I tried thinking outside the box that my fighting skills sky rocketed to a whole new level. My fighting improvement slowed when I stopped being creative. I was doing the same thing month after month and nothing changed, nothing got better, nothing new came in. My punches were a little faster and stronger and my cardio was better, but I was still pretty much the same fighter. I wasn’t growing rapidly like I did when I first started boxing because I was limiting myself. Instead of trying new things, I was doing the same things over and over. I thought I knew what the “right technique” was so that was all I practiced. I didn’t really improve until I started appreciating the differences in other people’s fighting technique. It’s easy to look at other fighters and say, “Oh he’s doing this wrong. I would NEVER do it like that.” But then I grew up and let go of my ego. I realized boxing isn’t about WHAT I THINK. It’s about how I respond to opponents. And I’m not going to be very good at responding to opponents if all I think about is myself! The creative fighter will learn, grow, adapt, and improve faster than all other fighters! Try getting tired. I mean getting SERIOUSLY tired; like to the point where your shirt is soaked in sweat and you can’t feel your arms anymore. Some guys burn out in 30 minutes. Others take 3 workouts in a row. Wherever your failing point is, the sooner you get there the sooner you can take yourself into new territory. are you able to absorb something new. 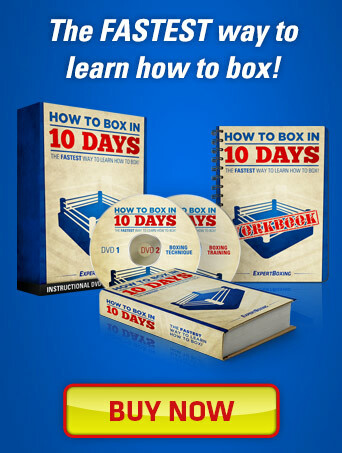 It isn’t until you’re completely dead tired that you can finally learn how to box. It is in this moment of absolute fatigue that you are ACTUALLY boxing your opponent instead of boxing the way you feel like. When you have no energy left, you stop caring about yourself and your own agenda. You’re just fighting the way that feels the most natural. The real learning starts when you stop trying to be you. Haven’t you noticed that you usually learn new tricks at the end of a workout instead of at the beginning? Fighting new opponents always brings out something different in you. Fighting is a lot like dancing; no dance is ever the same, ESPECIALLY when you dance with a new partner. Sure it’s more comfortable to keep sparring with the same guys, you feel safe because you know what they do. You know how to look good against them and know how to avoid their best punches. TRY THIS: going to another gym and sparring a new opponent. Fighting somebody new doesn’t always bring out the best in you, but it definitely brings out something NEW in you; you’re out of your comfort zone, you’re nervous and never seen this type of movement before. It’s the perfect recipe for something magical. He attacks you from a new angle and you freak out with a counter you just made up—you’re bound to do things you’ve never done before. So maybe you do terribly and get embarassed. But one thing’s for sure when you go home that day; you have something new to think about. You have something new to work on. You are guaranteed to develop something new out of yourself that next week at the gym. This is actually something designers do all the time, like making something look nice but only using 2 colors. Or making a car that looks cool but also has to be functional. Have you seen that amazingly functional mp3 player design that has only one button? (It’s called the iPod.) Anyway, my point is to grow yourself by limiting yourself. Take away your favorite weapon or try forcing yourself to use new punches. Try sparring an entire day without throwing a single left hook. Or how about ending every combination with a jab instead of the right hand? Or maybe you can start every combination with an uppercut. Or how about trying to stay more inside instead of outside, or vice versa? Watch videos of yourself and pick up on your own tendencies. Then force yourself to do something different. The trick is not to add more things, it’s about removing things from your reportoire so you can focus on fewer things. Having this narrower focus allows you to specialize in more specific aspects of your fighting ability. Yes, you will feel handicapped. But struggling to find victory through a handicap will make you a better fighter. If you keep doing this for years, you may come to an amazing discovery. You start to realize that you can never be limited. You realize that you don’t need a perfect left hook or perfect conditions to win fights. You also realize that you can be creative and win no matter what limitation your opponent tries to enforce on you. is much easier than copying a pro. It’s easy to get carried away and want to be the next Floyd Mayweather but it might be a better idea to copy the guy right next to you. You can see how he trains every single day. You know his workout and his warm-up routine. You can see every little detail of his movement in person and can even ask him to give you tips. The fighter you copy doesn’t even have to be better than you. I recommend you find anybody who does something entirely different from how you do it and ask him to teach you to do it his way. Maybe you don’t agree with his punching technique but you might learn something that can improve your technique OR EVEN BETTER: gives you a new technique to use. This is how I improved most of my skills. I got sick of being me, so I started fooling around at the gym and mimicing other fighters. Before I knew it, I was better at somebody else’s style than even he was. By the next week, I had already absorbed his style so naturally that I became a different fighter. This is sad but true. Every trainer/fighter relationship has its limit. Sometimes it’s the fighter that’s not ready to learn everything from the trainer. Other times it’s the trainer that doesn’t know how teach his fighter. Even if you stay with the same trainer, it’s always a good idea to get a second opinion. You will always be surprised at what other trainers might say about your technique. you just need a new opinion. A good tip is to be in a place where you can absorb advice from multiple trainers. This is why I love being in big gyms with many different fighters and trainers. You have the opportunity to observe different styles and absorb new techniques. I went to 10 different trainers and asked them how to throw a right cross and guess what I got…10 different explanations of how to throw the right hand. And you know what…they were all right! I use every single one of those methods today and I can’t even tell you which one is best…because it all depends on the situation! It is always the creative fighter that becomes the best fighter. It’s easy to think that you can perfect something by practicing the same thing over and over again but this isn’t true! Most fighters I know will search the entire world for the perfect technique and then practice nothing but that same technique over and over until perfection. All you’re doing is perfecting your limitation and reliance on the perfect conditions of that technique. What happens if you face an opponent that won’t let you use that perfected technique? The best way to perfect a technique is to keep adding new variations as you practice it. Approaching the same technique from different viewpoints ultimately leads to SOMETHING MORE POWERFUL THAN PERFECT TECHNIQUE: it leads to perfect understanding. Truly understanding a technique allows you to change it to fit different situations and beat different opponents. Technique is only perfect when you understand it. The next time you see Muhammad Ali beat someone with the jab, you know it’s not the same jab. It looks the same but it’s not. The opponent is trying all he can to avoid it and Ali is skillfully altering his jab constantly to maintain his dominance. you perfect them with constant change. Tip 4: I was listening to an audio and they said something similar to this its called “modeling knowledge” even though its virtually impossible to be exactly like someone doesnt mean you cant pick up their work ethic, or the way they carry themselves, etc. So far, so accurate. Keep working J! Getting totally winded is not going to help you, you will just be winded with nothing left…Controlling your breathing while going flat out is what will save you…in other words breathing is most important. Make sure your blood and brain is well oxygenated that will maintain your clear thinking…Superior skills with stamina and good breathing technique that’s the deciding factor. Observe Olympic swimmers (Phelps) for example he completes 400 m and is not even panting for air because he was breathing deep. never get winded. Absolutely genius! I remember first starting out the first thing I told myself was, repetition would make me a good fighter. In my opinion, repetition does make you better STARTING OUT because its all new to you. It sort of gives you a base. But over time I can understand how creativity is key. Thanks for the helpful article! is it more or is this website turning into Personal Excerlence.com? In the end, “boxing excellence” is pretty much intertwined with personal excellence. I agree with Ron. Thanks for reading, Curtis. Great article! 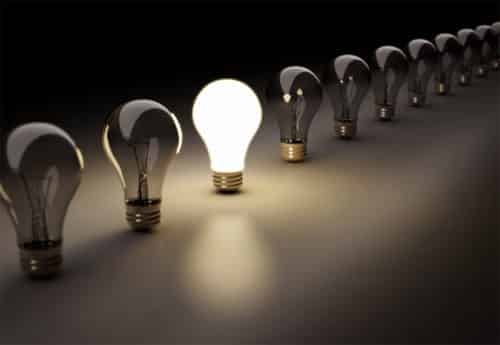 I completely agree with being creative with your style because it will help you adapt to different situations. I have three fights on YouTube and I fight a different style in all three according to who I was fighting. Condfidence in yourself to pull it off is just as important to I like when you included the sparring aspect to it to find what works and what doesn’t. Guys tell me all the time that it is difficult because I’m always giving my opponents different looks on how I position my body, hold my hands, etc. Again, great article, I really enjoy your articles and you website. So true…went to a different boxing gym a while back to spar someone more experienced who does straight boxing with a coach (I had a coach who I had about 3 or 4 sessions with me corner me). It was only 3 rounds, by the mid to the end of the 3rd, the anxiety and adrenaline took its “toll” and I started really putting my game together once my tightness wore off and I knew I had nothing to lose. As a southpaw CREATIVITY is the only way to become an excellent fighter. No right-hander can teach us lefties how to develop real our southpaw-style, because they all know it only from the books or looking at us. They will never know how it feels. It´s very much like a marriage counsellor with nothing but devorces….. I ws thnkin if u wud write smethn bout DOs and DONTs of shadowboxing. Good idea Dayne. An article on proper shadow-boxing. I’ll be adding that to my to-do list. Is a good idea and vice versa for creativity??? another excellent article. well im always trying to be creative in boxing. i do drills i made by myself in the double end bag and in shadow boxing. the problem is in the punch mitts, because my instructor lets me do the same thing over and over again for a long time now well its good in the sense that it has embossed in my muscle memory..but i want something new.. It may be time to check out other gyms, Don. Or encourage some of the newbies to step into the ring with you. And make sure you go easy on them so you can help develop them into better sparring partners. hey Johnny big fan of the site! have to say everything is correct, i’m more of a on the move tall boxer and i had to fight last Sunday sick…needless to say i gassed and was forced to go toe to toe brawling and had a ref stop it cause i was copping too much damage, i think if i’d worked on more styles than being an on the move outside fighter i might have been able to survive! anyways i might have missed it but have you wrote anything on how to clinch and such to stop onslaughts? also do you have any exercises to strengthen feet…everytime i finish sparring my calfs, quads and hammys are fine but my the bottom of my feet are in agony… cheers anyways for the tips! All excellent questions, Luke. 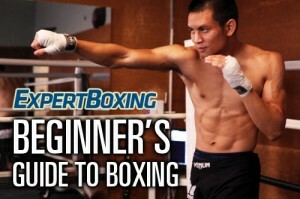 You should read my guide on how to beat shorter boxers. It’s full of great tips for tall guys like you. As for foot-strengthening, try walking barefoot on a rubber track for 2 hours! Walk in a relaxed manner and let your foot really sink into the ground when you walk. Try to really feel the ground with your feet…almost gripping it lightly. Try it for 2 hours and then come back and post how you feel. Also, standing on an upside down bosu ball for a long time can also help a bit. Try to do it barefoot. I’ve never seen it before. Thanks for sharing. in clinching legal in amateur boxing? It’s not allowed, but it’s also not absolutely illegal. It’s one of those grey area rules where you will get disqualified if you do too much. But a lot of people do it, so you have to make it look like you’re not trying to clinch. I don’t box. I’m into sport karate but love your site. You are so right it aint funny! I’ve been kicking for 38yrs. and I’m constantly making adjustments. Some big . Some small. But when I spar I just let it go and I am amazed sometimes by how I respond. I’ll throw a kick in a way that I’ve never practiced and it scores. Sometimes, my leg just starts twitching and I just let it go. I’m going to give your advice thoughtful practice now. Thanks and keep it up. As a martial artist, I believe 100% of what you have stated applies to other combat arts outside of boxing. Well written and great points Johnny!